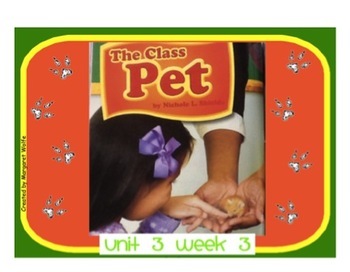 First Grade Reading Street Unit 3 Week 3, "The Class Pet." This is a Notebook File for your SMARTboard or whiteboard. 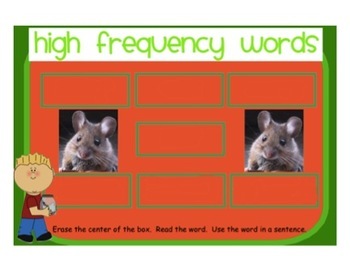 Included are the "I Can" statements linked to the Common Core Standards, introduction to the Question of the Week, High Frequency Words, Spelling Words, Amazing Words, -es endings, controlled r: -or, -ore, Fact and Opinion as well as links to other resources. I've also included the Daily Fix Its for this story. Use this on Day 1 of your story to introduce your students to the words and skills that will be tested this week. 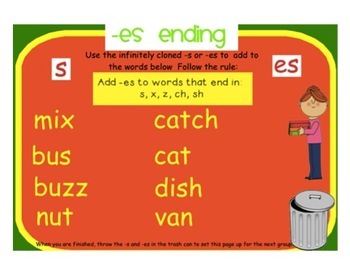 Also use as a station for your Literacy Centers or Daily 5! Not sure this is what you are looking for? Download Unit 3 Week 5 SMARTboard intro for FREE and then decide!